Skulls are the hottest thing at the moment. 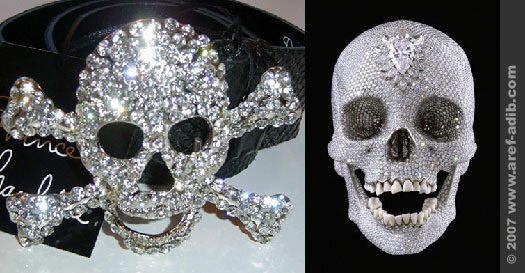 Artist Damien Hirst has unveiled a diamond-encrusted human skull worth ?50m. It said to be the most expensive piece of contemporary art.